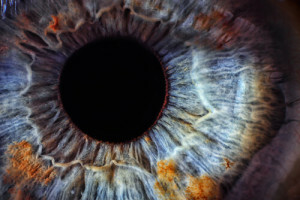 The cornea is often described as the “window” of the eye. The cornea is a clear tissue that helps focus light onto your retina. Your cornea is one of the most essential components of your eye, making a healthy cornea vital to good vision. The cornea lacks blood vessels and is completely clear in order to maintain sharp vision. The lack of blood vessels keeps your vision clear, but can also leave your cornea susceptible to many diseases and conditions. Many of these conditions are easily diagnosed and treated at Takle Eye Group in Griffin, GA.
All of these layers have their own specific purpose in keeping the cornea healthy, protected and nourished. We are even able to perform corneal transplants in severe cases of corneal injury or disease. Takle Eye Group is proud to offer only the best and most up-to-date diagnostic tools and treatments to our patients in Griffin. Our compassionate staff and quality care makes us the leading practice for corneal disease in the Griffin area. If you are due for an eye exam, or if you are having issues related to your cornea, Takle Eye Group is here to help. Call our office in Griffin, GA today to set up your appointment.